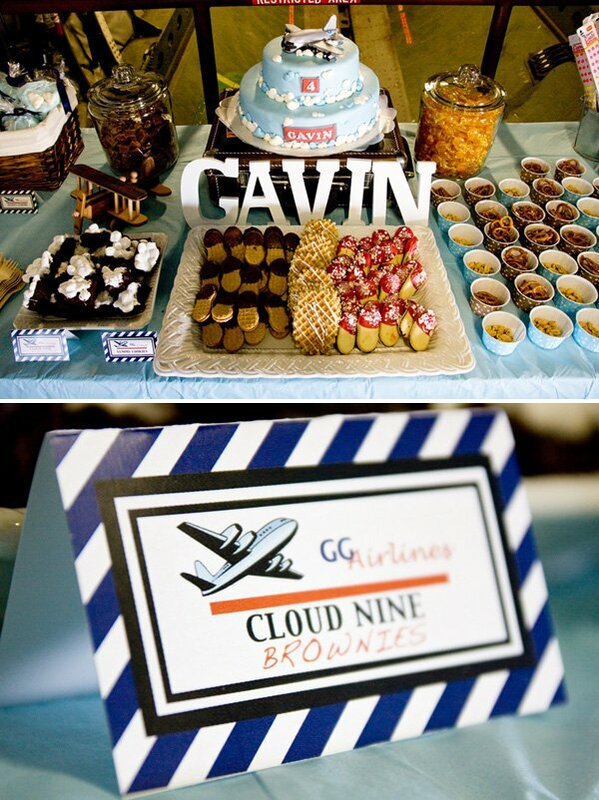 Chrystal Guyette did such an AMAZING job bringing this VINTAGE AIRPLANE theme to life for her son Gavin’s birthday – from the “boarding pass” invitations mailed out envelopes fashioned from old atlases, to clever “in-flight meal style” lunches and bags of blue cotton candy adorned with cloud shaped marshmallows! 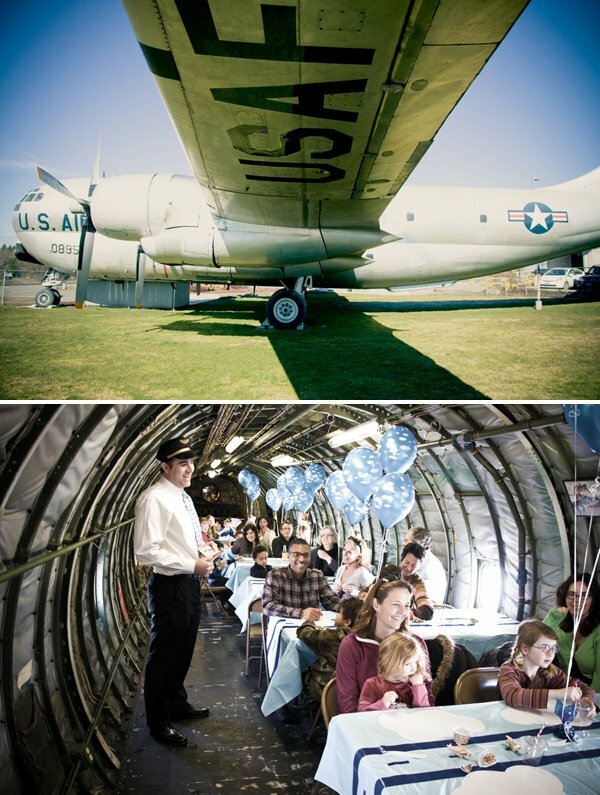 The party was actually held inside a historic KC-97 airplane that sits at their local airport (what a fun venue for the kids! ), and guests participated in creative activities that were outlined in their “Junior Pilot Training Manuals”. Dad even dressed up as “The Captain” and stamped their manuals every time they completed a task! 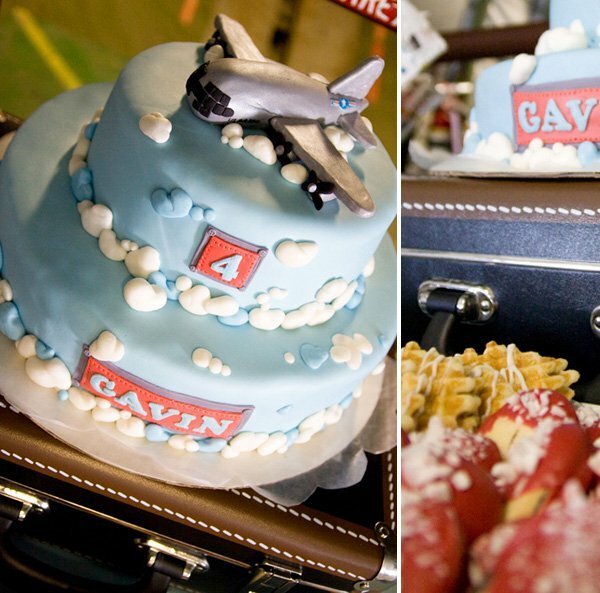 “For my son Gavin’s 4th Birthday Party, we rented out a historic KC-97 airplane that sits at our local airport. It served as a unique venue and the kids had a blast playing with all of the controls in the cockpit. 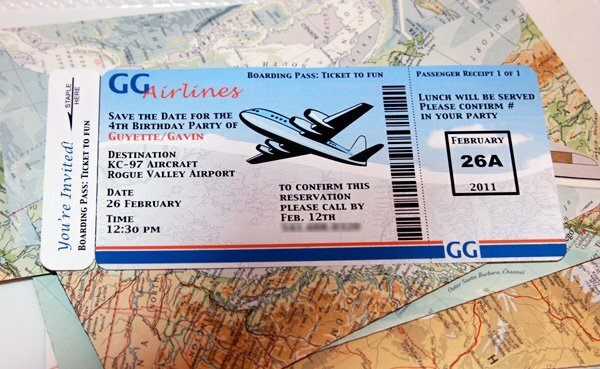 To set the theme for the party, I created invitations to look like real boarding passes. Each of them were sealed in envelopes made from old atlases. I referred to similar invitations that others have made in blogs to help come up with the wording for them. The amazing interior of the plane created a great backdrop for the party! I decorated the tables with light blue paper table cloths. We ran dark blue tape down each cloth to look like runways. I cut large white clouds out of heavy glossy cardstock to serve as placemats for each place setting. The center of each “runway” was lined with small wooden airplanes with banners attached to them using baker’s twine. 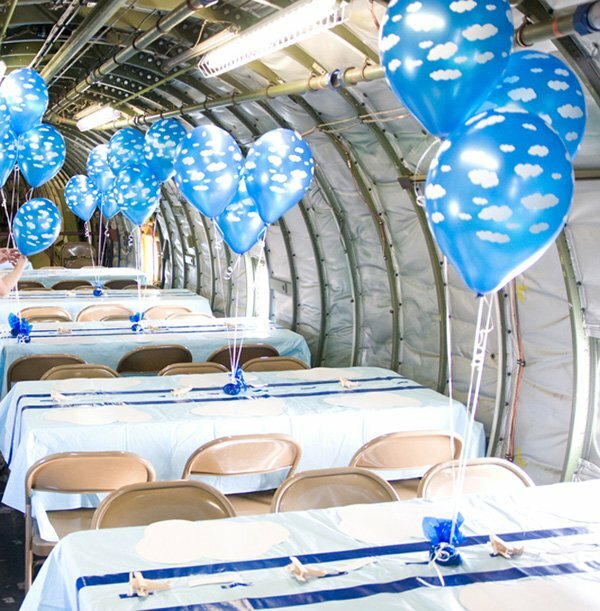 Bright blue balloons with white clouds on them were placed at the center of each table. The cake topper was skillfully created to replicate the KC-97 airplane where we held the party. Molded clouds were then added to the cake below the plane. Alongside the cake I placed cookies, old-fashioned candy buttons, caramels, and butterscotch. 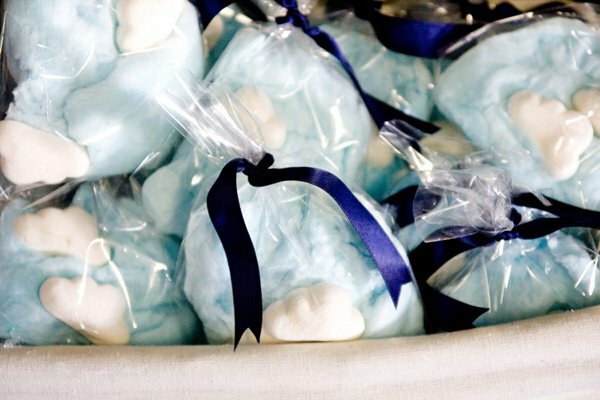 I created Fluffy cloud bags out of blue cotton candy with white could marshmallows placed into each bag. 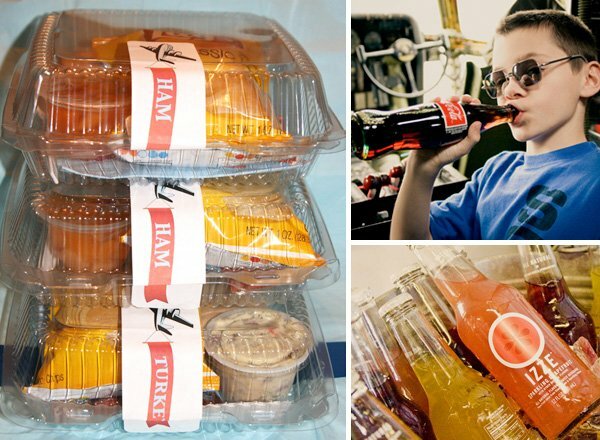 For drinks we used plastic airline cups and lids, and served classic Coke, lemonade, and Izze Sparkling fruit drink. We used red, striped straws for the kids and adults to drink with. The children were greeted by my husband, who pretended to be ‘The Captain’. He handed out Junior Pilot Training Books. Throughout the party the children were to follow the book and pass each task in order to complete their mission to become a Junior Pilot. After each task they earned a special prize to help with their future flights! The first task was to learn how to ‘Build an Airplane’. The children were each given paper to make paper airplanes. The paper had the history of the KC-97 airplane and folding instructions with dotted lines to fold their plane. After this first accomplishment ‘The Captain’ stamped each of their books and handed out their very own aviator sunglasses. The second task was to learn how to ‘Paint an Airplane’. The children each took one of the wooden airplanes form the table. They wrote their names on the banners and were given smocks to keep them clean. Paint was handed out and some beautiful planes were created. 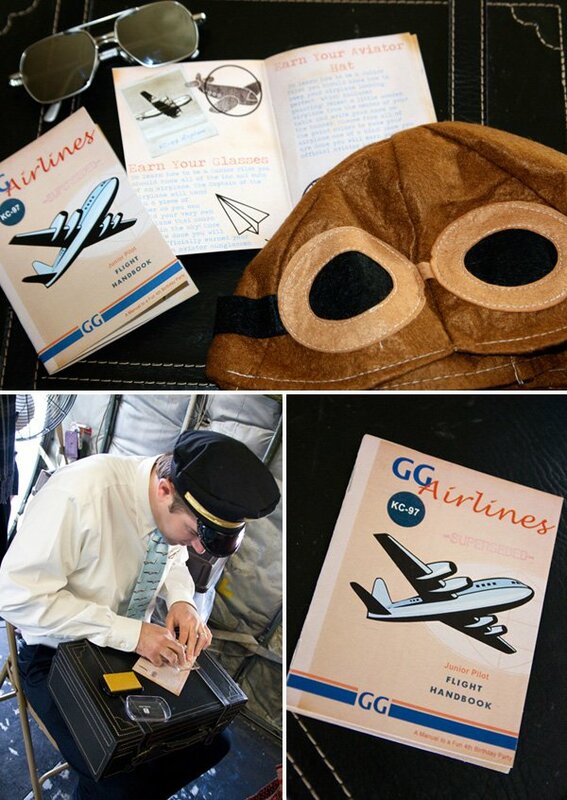 After this task, their books were once again stamped and they earned their very own aviator hats made of felt. After that, the future Junior Pilots all took a lunch break. Each lunch was made to look like an airline lunch, and contained a variety of sandwiches, chips, and snacks. Their next task was to earn a compass. We strung compasses onto leather lace, so the kids could wear them around their necks. To earn the compass, the children had to take a lesson in navigation, so outside we went to play a game of ‘Red Light, Green Light’. I created red and green flags to look like classic airplane navigator flags. THIS is SUCH a fantastic idea! From the party INSIDE of the plane to the favors. Great job, loooove love it! I love this! I am doing a travel/airplane birthday party for my 4 year old son Hunter this May. This is the 1st site to lend any ideas to this theme. Thanks! You will have a blast! Just did this theme for my son in February. Oriental trading has passports and globe beach balls as well as the felt aviator hats seen here. I also got bubble wands from them to use for them to learn air traffic hand signals. Used blue and white Christmas light strands to make a runway down a hallway and got the big styrofoam gliders to practice landing. Also hung @50 small styrofoam gliders from the ceiling with fishing wire. Found the junior pilot wings pins online so they could earn their wings. I set luggage by our door with a airplane shaped mylar balloon tied to it. Hope that helps a little more. For some reason this theme is hard ti find ideas/stuff for. Such a good idea! You did a fantastic job. Love all the attention to detail! Pics are great! LOVE LOVE LOVE! Amazing details! Wow, wow! This is unbelievable! It looks like an amusement park adventure. It was styled so perfectly too. There are so many cute details, but holding it in the plane was just genius! This party has me on CLOUD 9! I love that the kids had activities from the moment they ARRIVED until they DEPARTED! 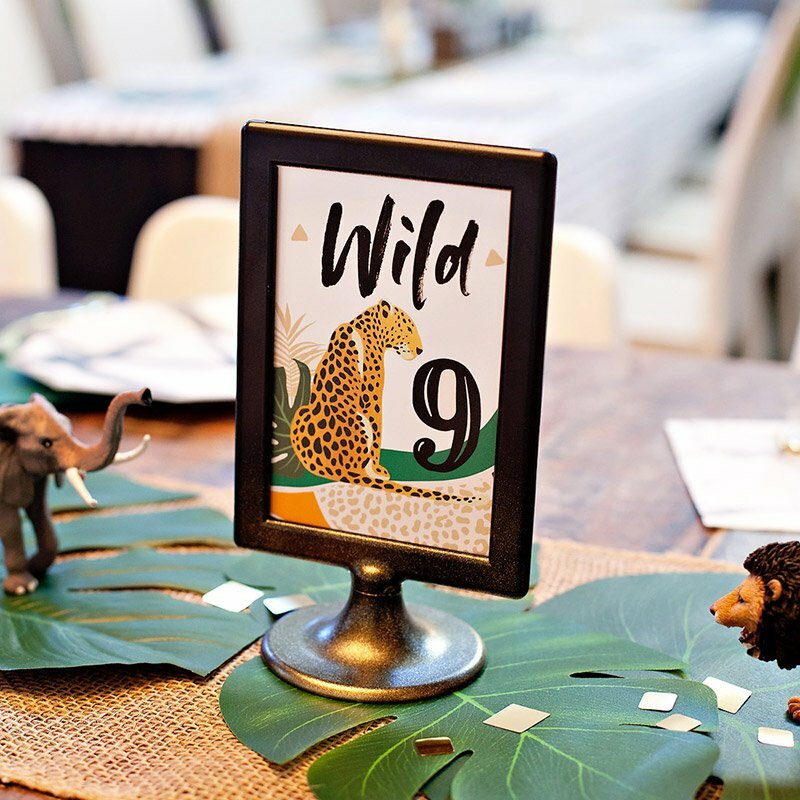 Loved all of the simple and affordable touches that made this party TAKE FLIGHT! Pretty much DYING over this cuteness!!! this is amazing. thank you for the continued inspiration, ladies! 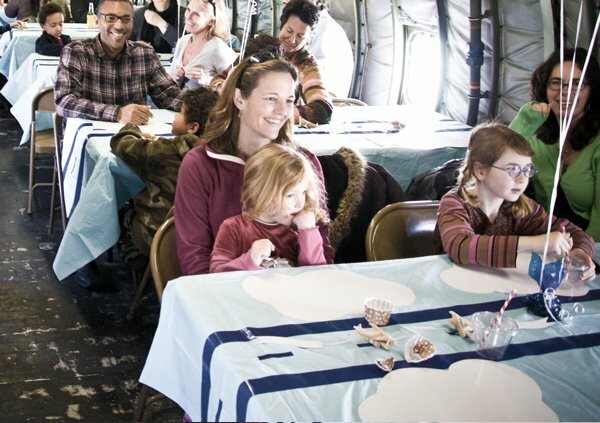 i may have to go have a boy now just so i can do this… nah, i think my youngest could hold her own and make it girly fun in this setting; she loves planes! Hmmm…next year?! I have been looking for cloud marshmallows EVERYWHERE! Where did you find them? I found some cloud marshmallows at Cost Plus World Market. However, they have been discontinued so I was lucky to get the last bags of a store in my area. A store in your area might still have them! I LOVE THIS! I’m actually thinking of doing my twin boys bedroom in a vintage airplane theme and I just got a ton of inspiration from this post! What a fun party! My husband loves flying and I made the mistake of showing this to him! He now wants to talk our daughters into doing this for their next birthday. So, so creative and what an amazing setting! AYKM! This is amazing. Every detail… AMAZING. This is planely a perfect party. So cute, going to have to wait until next year though! It’s super heroes this year! With 2 step-boys and a baby boy Julien, I am loving the adventurous boy theme! Yea, it’s not dogs or armed forces! Such a neat party. I adore the Junior Pilot game played throughout the party. Amazing! WOW! That is so adorable!! Thanks for sharing those great ideas! This is exactly what I am doing for my sons 3rd birthday next year!! What a great party!! Such great execution on every detail! I love this party! 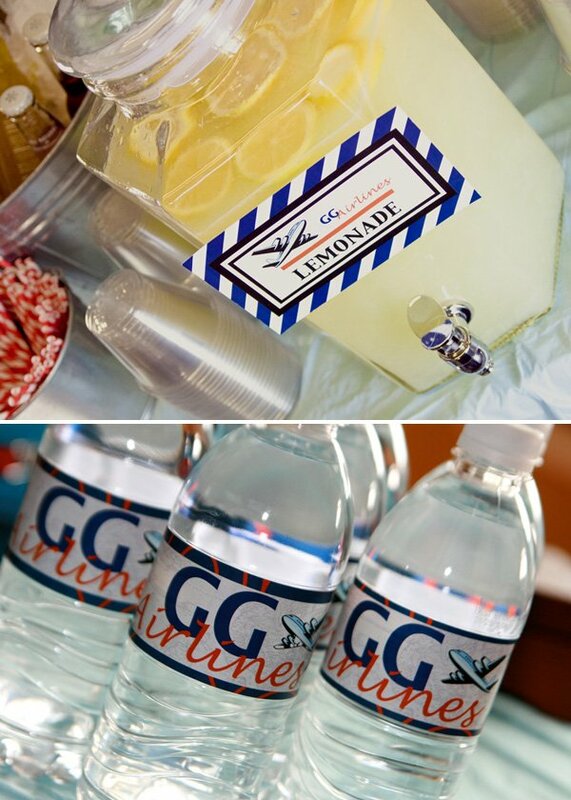 I threw a vintage-inspired airplane party (see here: but how amazing is it to throw it inside an airplane! SO fun! Also very impressed with all the personalization. Beautiful. Fabulous party! Really amazing details!! 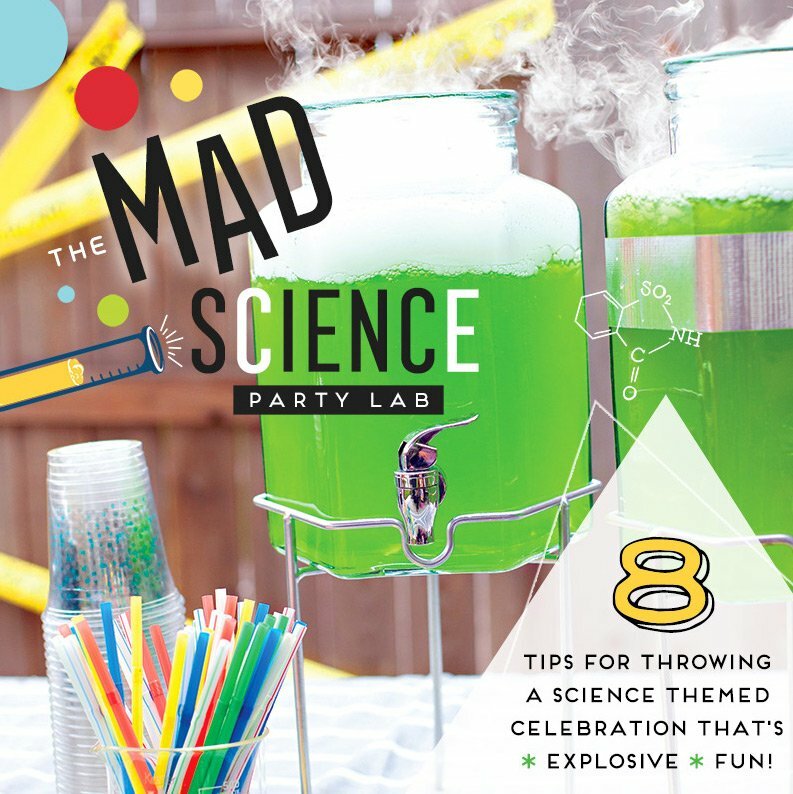 This is one of the more clever parties I’ve seen in ages! Every detail is perfect! This is so cool! What a fantastic party! I think this an absolutely inspiring party! Every detail is so carefully thought out. I love the colours and vintage theme. The plane is a fabulous venue! amazing!! wow, every single detail has been thought through! and what an awesome venue! Hands down onr of the most creative party I have ever seen! Wonderful job on putting it all together. Take a bow for the great job you did! 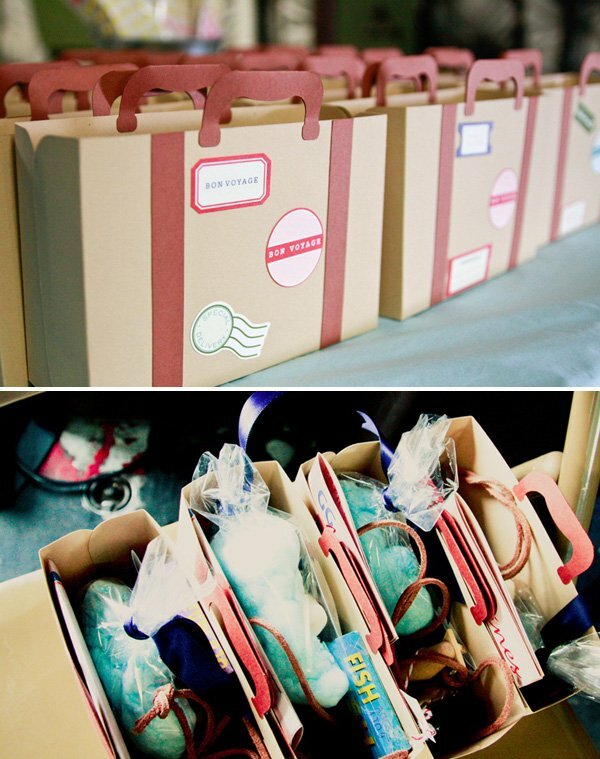 LOVE, LOVE, LOVE this idea! As an aviation enthusiast, all I can say is Bravo! This was completely brilliant and wonderfully done! This is just such a unique twist on and airplane/travel type theme. Very, very nice! This would make an equally fun theme for a grown up event. This is AMAZING! Every detail is pure perfection…Great job and thank you for sharing!!! This party is so fantastic!!! I desperately want to re-create this for my son’s 5th birthday party. Are any of the printables online or available for purchase? Oh my! 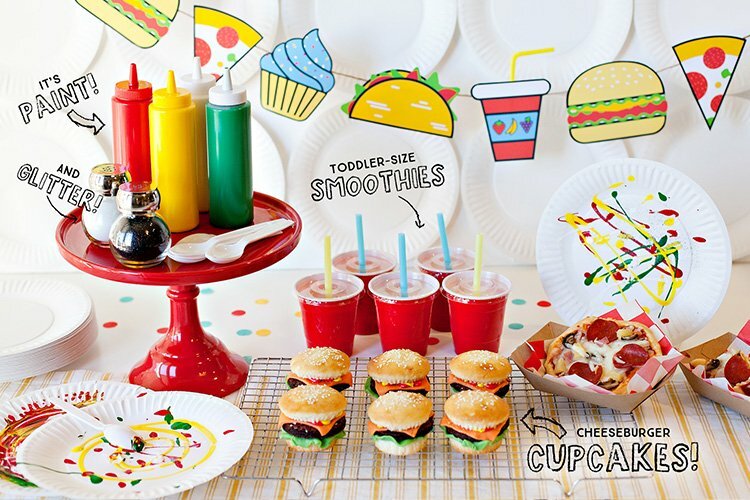 What an adorable idea for a birthday party! I love the way the theme carried through everything, from the venue to the games. Wouldn’t it be cute to do custom pins shaped like pilot wings? This party leaves me breathless. The graphics are amazing. It’s not just cool looking, but I particularly like how you’ve engaged the children so they really leave with an experience. Well done. THis looka fabulous!! the party runs smooth and sounds looaads of fun!! I am currently in the process of looking for an inspiration for my daughters 2nd birthdy party and i am in dire need of inspiration!! ffabbbulous job!! I really interested in how you did the banner? It seems real simple. Wow! You have my vote for birthday party of the year! I love everything! Please tell me how I can get the invites and junior piolet book. My son wants a passenger plane instead of the little boy planes. He will be 7. Can I buy them from you? Everything is fantastic! Can you please tell me how to get the invites and the passenger book? Glad to see how popular this party theme has become!! Those invites are amazing!!!! I’m currently in the process of making some myself with the awesome atlas pocket idea. However, I am having trouble finding a background that doesn’t completely overtake the invite. Where did you find your background? It’s subtle with just the perfect touch of color. 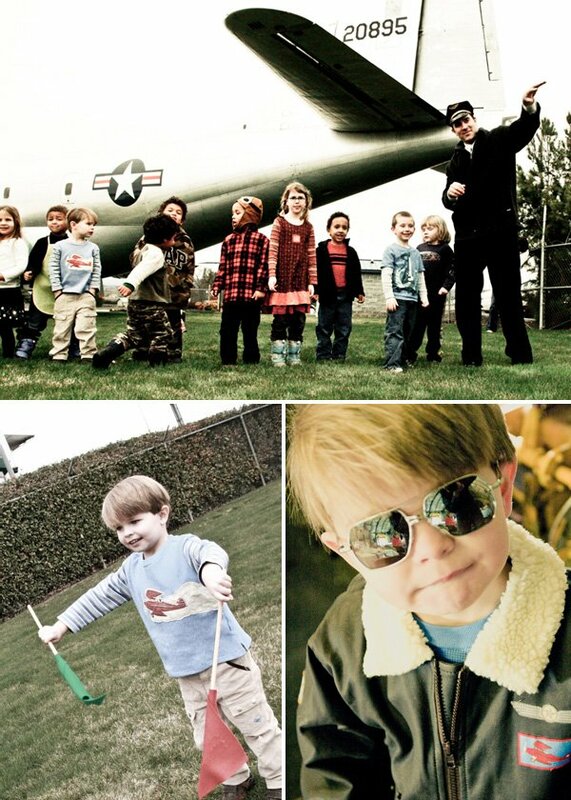 The vintage airplane themed party you created is amazing! 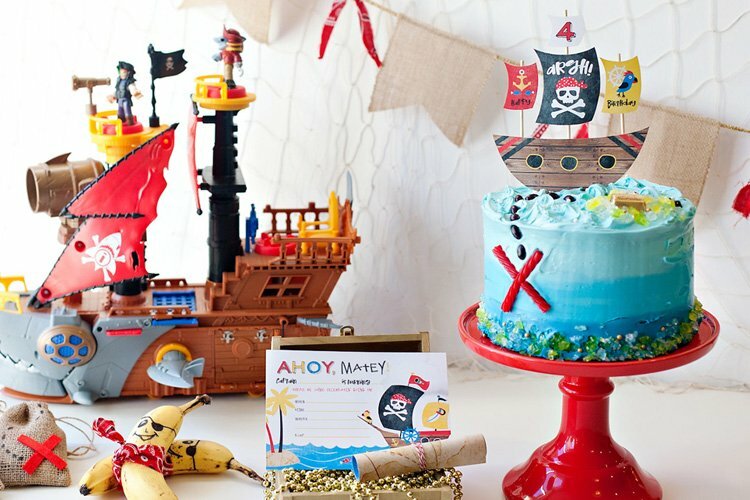 I am planning my son’s 1st birthday with a similar theme. Where did you get all the labels (water bottle, food labels) etc. they are too cute! The plane is located in Medford, Oregon, near the airport. First of all, i must say that this party was unique! Congrats! I would love to know where did you buy the cloud balloons. I live in Brazil, but I am going to Orlando next month. 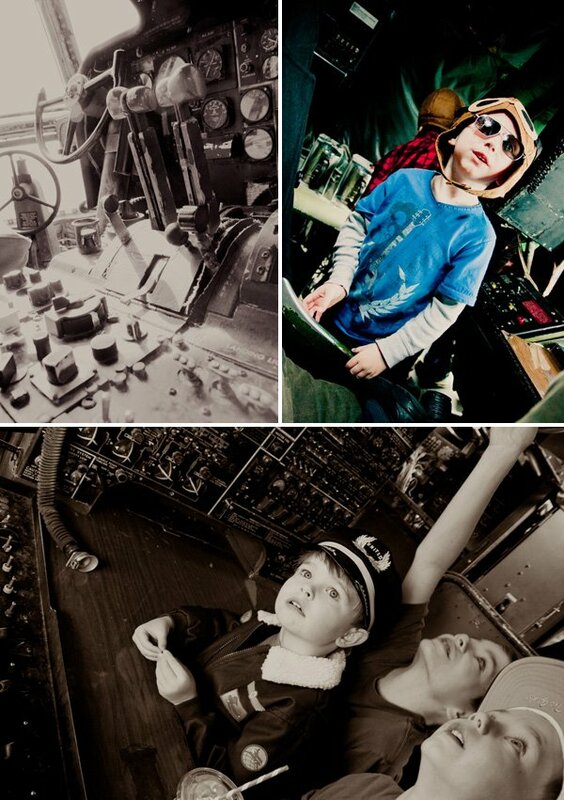 Maybe I can find them somewhere… My boy will be two next year and my husband is a pilot… so… this is the perfect match! rsrsrs Tks in advance. Kindly regards. Good luck working on your party! HI! This party is amazing. I have been searching for a boarding pass for my son’s birthday. Can you tell me where I can get the template and/or the paper? They are amazing!! Love this! How did you do the invitations? They are so cute!!! Hi! Awesome decorations! I absolutely love it. 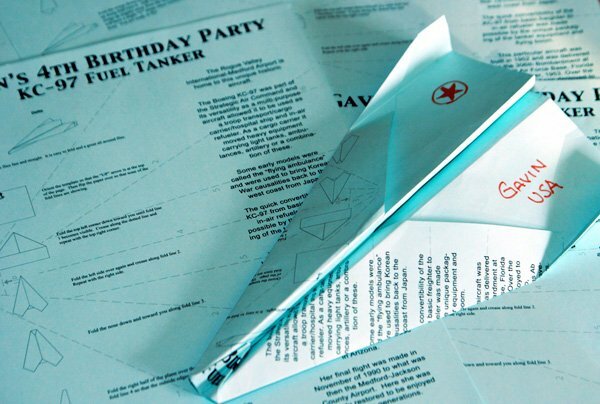 Do you know where I can find/download the paper airplane history and instructions?? So amazing! Thank you for the wonderful ideas. I’d love to know where/how to purchase the Junior Pilot flight training book as well. I love this theme, are they available to purchase? My son will be turning one and he already has an airplane themed nursery but we are having a hard time finding boarding pass invites. I was wondering how you made your flight manual? Was curious if you sell your printables? Please let me know. You rocked this party….way to go! You’re party was just phenomenal! 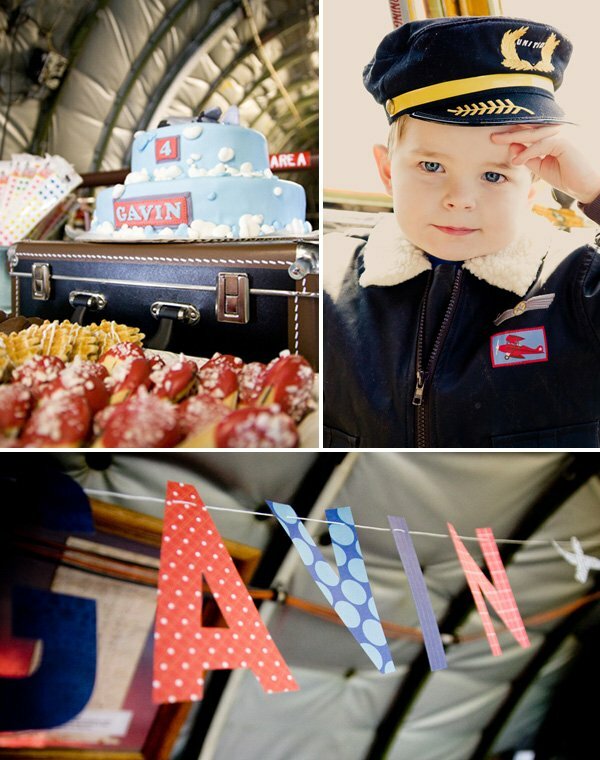 I’d love to do an airplane inspired party for my son. How did you make the invitations? Are they for sale? Simply AMAZING! 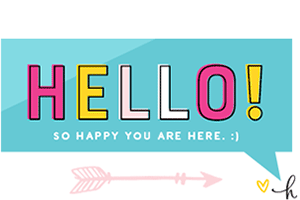 Thanks so much for sharing… I am taking a few pointers & awesome Ideas!!! I just can’t wait for our Airplane party set for Saturday, March 9th 2013 EJ Airlines Take off for 10th Birthday! Where did you find wooden planes? How much? Love love love! Where did you find the paper to make Gavin’s banner? 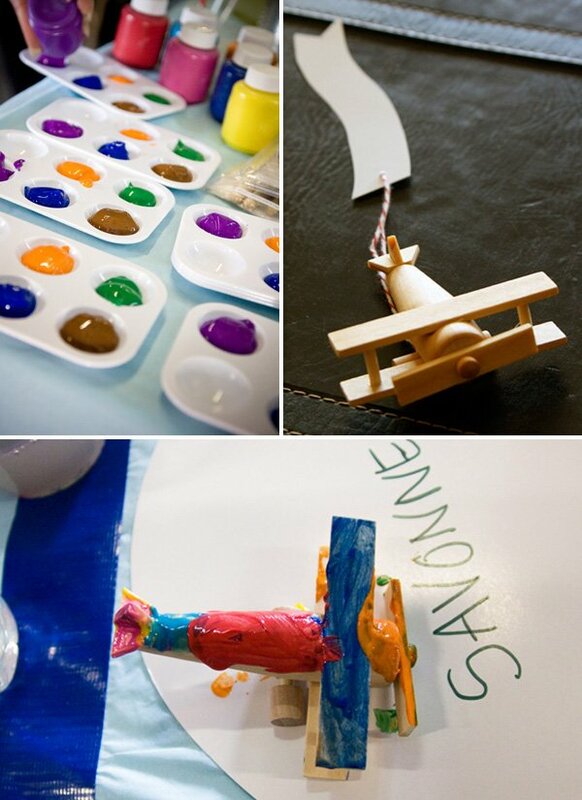 Where did you find the wooden airplanes to paint as well as the cloud balloons? Hi, I am preparing a birthday party for my daughter with an airplane theme. I was wondering where you got the paper airplane folding directions with dotted lines? Thanks for your help! Can you tell me where you got the invitations? Omg!!!! i love this idea i will be doing this for my sons 5th birthday, questions where did you get the manual or who created it? and the paper airplane? 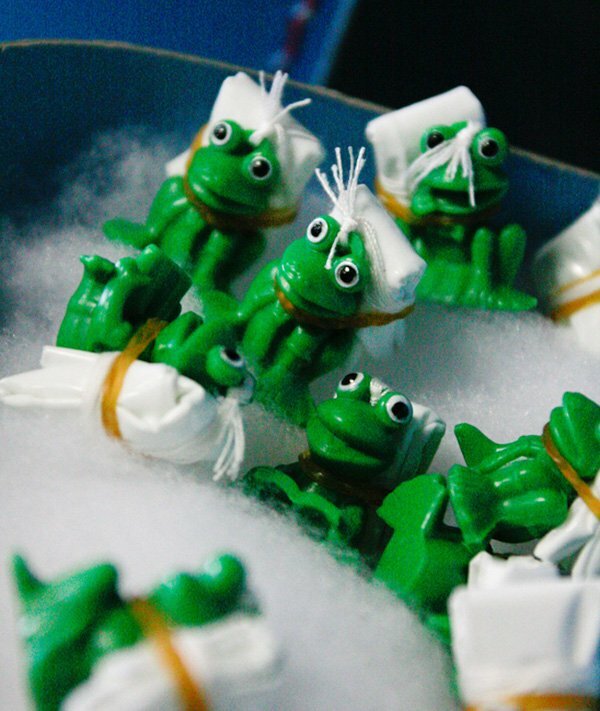 for painting…they are adorable. Where did you find them? Do you happen to have the template for those great ticket invitations? This would be PERFECT for my son's birthday! How do you make the suit cases? Where did you get the little paper suitcases from? I am doing an Around the World Camp and would love for them to be able to have some type of suitcase. Such a creative party! 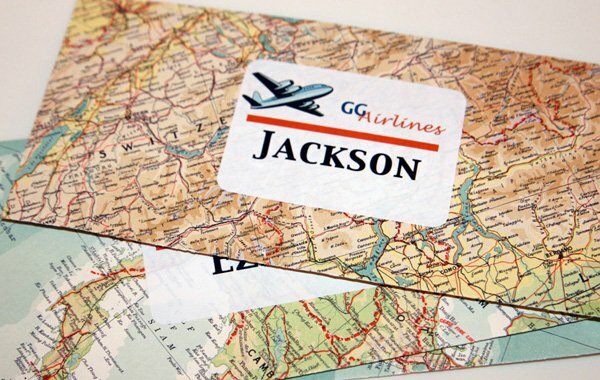 Do you have the boarding pass invitation template to share? I am willing to pay for the download! Thank you! Love the suitcase bags!! how did you make them?? The details are amazing! 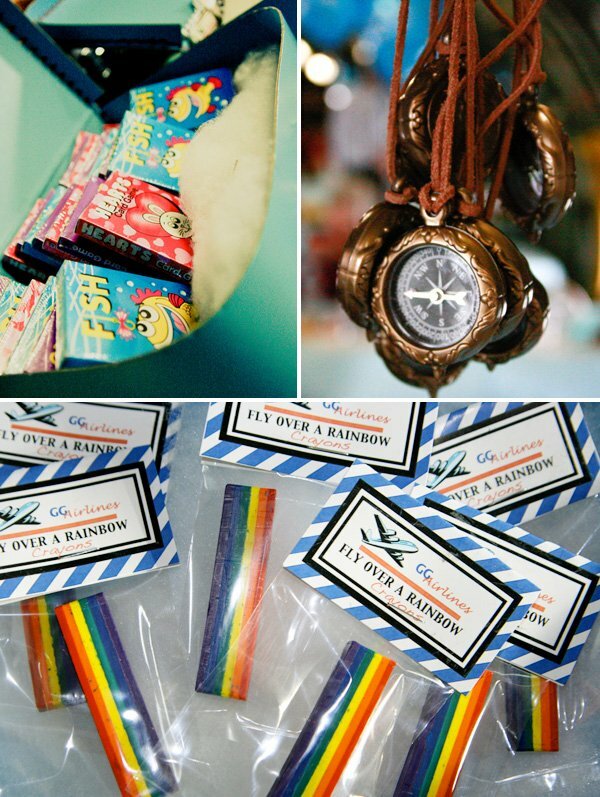 Where did you find the suitcase bags and stamps?